If you’re looking to get in shape from the comfort of your own home then the Schwinn 830 treadmill is the one for you. This is not a light-hearted recommendation. 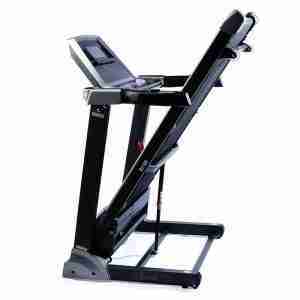 I have been using treadmills for many years; few represent such good value for money. This product is manufactured by Schwinn. If you look at the array of Schwinn 830 treadmill reviews available you’ll instantly note that they all comment on the quality of this name. Schwinn originally started producing bicycles in 1895! By the end of 1896 it had gained more victories in the Schwinn racing program than any other manufacturer! They have been making indoor exercise products since 1965; this explains why they are so good at it. They now offer a full range of fitness equipment, all of which is deemed to be high quality. But this guide takes a look at the Schwinn 830 treadmill reviews and makes sense of them all for you. 6 stars from Walmart consumers. 5 star rating from Sears customers! 5 star rating from Ebay users. That’s a pretty impressive starting point that simply backs up my own findings. It is worth noting that you cannot buy direct from Schwinn; you need to use one of their retailers. For this reason it is essential that you check the shipping rate and take this into consideration before you commit to your purchase. There are many advantages to choosing this Schwinn 830; whether you are just starting out on your fitness journey or have been doing it for some time. The 830 is foldable! This will ensure that you can fit it into a small space, use it when you need it and still not be tripping over it every minute. You’ll need approximately 7 feet by 3 feet when your treadmill is unfolded. Once you’ve finished your workout the running platform simply lifts up. All you need to do is push a button and lift. It is aided by an internal system of pulleys which means this takes minimal effort. Once folded it takes approximately half of the space needed when in use. As a nice extra touch Schwinn have added small wheels to help you easily reposition the treadmill. They can be used to glide it against the wall or to bring it into the right operating position. The sign of a good treadmill is how smoothly it runs. It is much easier to keep and use it in your office or living room if you can exercise while doing other activities. This isn’t usually an option if you have a loud treadmill. The Schwinn 830 uses a belt motor with 2.75 hp. This is powerful enough to keep pace with you running flat out but small enough to create a minimal noise. This is accompanied by 2.5” crowned rollers to ensure the treadmill operates as quietly as possible. In addition the 830 has a sturdy frame and is heavy enough to ensure there are no unnecessary vibrations or noise. The impact of your feet is absorbed with a specially designed four cell cushioning system built into the belt. This helps you to run smoothly, minimizes the impact on your joints and helps to keep noise to a minimum. The 830 has an array of programs to choose from. This is essential to you continuing to use the machine. Programs provide variety and challenge; keeping your body working hard and the activity fun. The main screen has a blue backlit display to facilitate use while you’re in motion. You can even connect to Schwinn or MyFitnessPal to download your workout data and build a record of your achievements. These are just a few of those on offer; you’re certain to find one that suits your needs or even define your own! It is worth noting that the Schwinn 830 gives you a USB charging port, an MP3 port with built in speakers and a media shelf. You can even put a tablet on this shelf to track your progress. Being able to set the program allows you to make the most of your workout. But to ensure this is the case you need to be able to monitor your workout data. Fortunately the 830 has everything you need to achieve this goal! 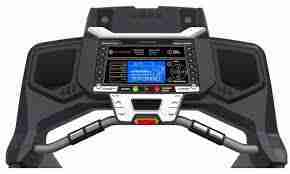 There are grips just below the display console which will allow you to monitor your heart rate as you run. You can then access information regarding your peak heart rate, your average rate and the heart rate zone you should be operating in. There is also a useful display to show the time you’ve spent exercising, the distance and the calories burned. Alongside this you’ll find it shows your incline setting and the speed at which you’re running. The best thing is that the 830 links to your app to allow you to record and examine this data at a later date. 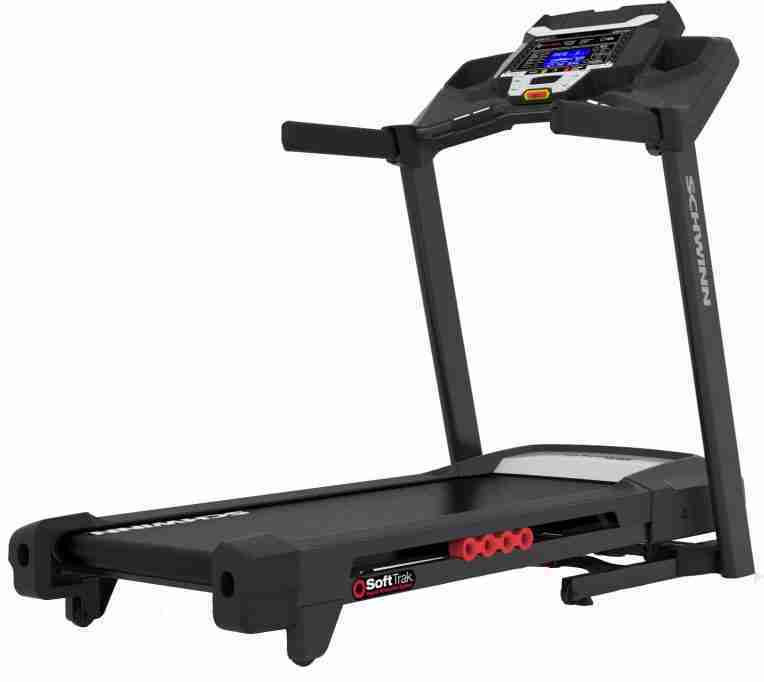 The price of the Schwinn 830 treadmill will vary according to where you purchase it. As already mentioned; postage plays a part in this. But, this is an excellent mid range treadmill; it’s worth paying a little more than the budget options for the extra features and build quality. The fact that it has a great reputation for reliability and build quality is simply the icing on your fat free cake! 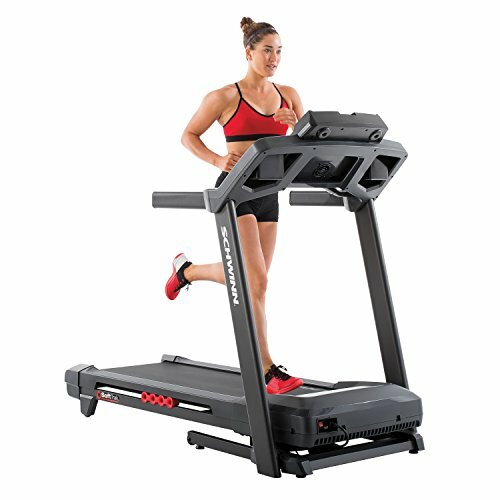 The confidence that Schwinn has in its products it’s borne out by the excellent warranty that comes with the 830 treadmill. Of course, if you take a look at the array of Schwinn 830 treadmill reviews you’ll quickly realize that things don’t often go wrong with this machine! It needs very little maintenance and is ready to use when you need it. Frame – for 10 years. The Motor – also for 10 years. All mechanical parts – for 2 years. The electronic components – also for 2 years. Labor on any repairs – for 1 year. 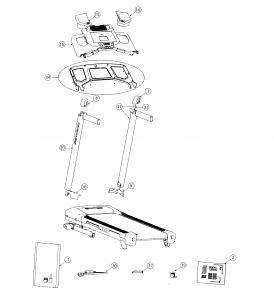 You should feel confident purchasing this treadmill with such a good warranty. Breaking down your purchase against the warranty means that you’re paying between $50 and $100 per year for this machine. That’s a lot less than gym membership and it’s a lot easier to get to! Of course no machine is perfect, even one that has scored 5 stars in 2 of the 3 customer ratings above. This is actually a very common issue with many larger exercise machines. There are several different components that must be put together to ensure the machine is ready for use. This is time consuming and has been commented on in several of the Schwinn 830 treadmill reviews. To complete the assembly successfully with the minimal of issues it is best if you have several hours spare and the assistance of a friend. You can always let them have a go on the finished machine! It has been said that the instructions are a little complicated, this is why you need to allow yourself time and take it slowly. Of course, once you’ve set the machine up you shouldn’t need to do it again! Your running platform is 55” long by 20” wide. This is actually pretty good! The fact that this is listed as a disadvantage shows just how few issues there really are with the 830. This amount of space should be satisfactory for most runners. However, if you’re over 6 foot tall then you may struggle to get your full stride in on the space available. In this instance it is worth considering the 830’s big brother; the Schwinn 870; you’ll gain an extra 5 inches of running space. The width remains the same and the space it takes up is not noticeably different. The quality of the 830 is evident in all the Schwinn 830 treadmill reviews and in the product; even while you are putting it together. Combining this with the warranty and you have a machine that is likely to help you reach your fitness goals. The alternative is that it becomes an expensive clothes horse. But, in my personal opinion and experience this is unlikely. The smoothness of the operation allows you to use this and still watch the television; if you choose. The range of programs and activities will ensure you remain interested and find your running fun. Perhaps the best part of all is that you can do it regardless of what the weather is doing outside. It doesn’t matter if you are new to exercise or have been using treadmills for years; this is an affordable and extremely valuable addition to your home. You will see positive results; as long as you use it. But don’t forget, you still need to warm up and down when using a treadmill to minimize the risk of injury!